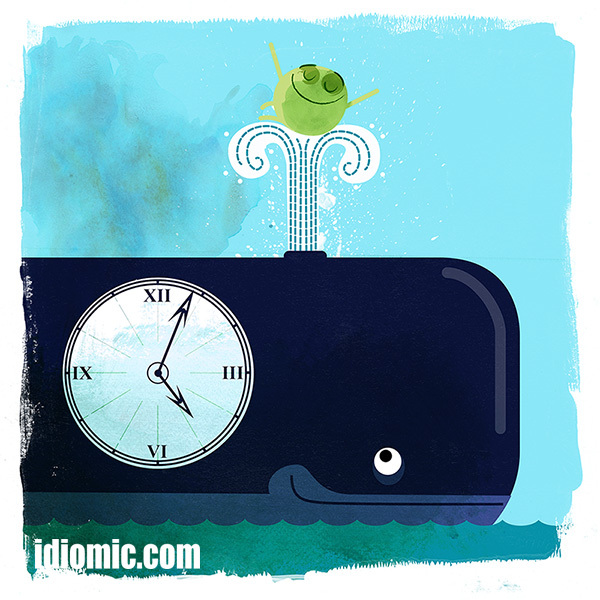 Click on the picture below to find out the meaning of the idiom HAVING A WHALE OF A TIME. Once on the site, you can click on Follow at the bottom of the page to receive more pictures and explanations of idioms FREE. This entry was posted in Advanced (Level 6+), Intermediate (Level 4), Pre-Intermediate (Level 3), Upper Intermediate (Level 5), Vocabulary and tagged English idioms, English slang. Bookmark the permalink.